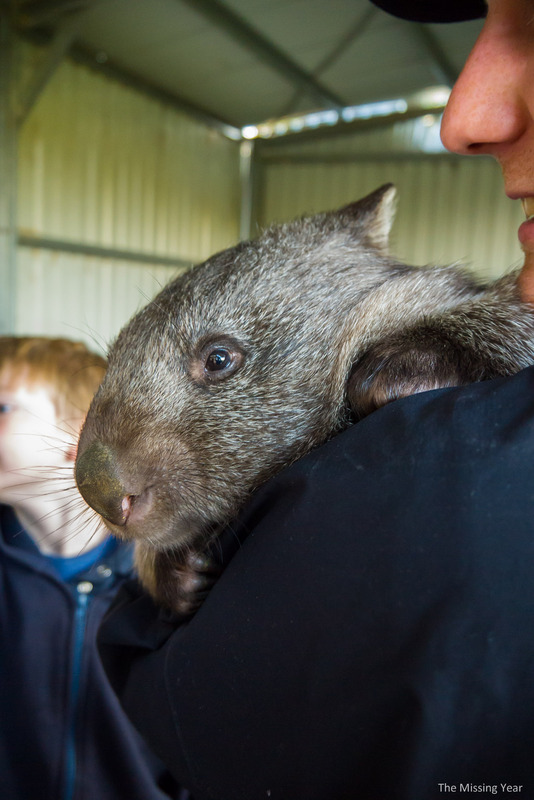 The rescue had 2 young (about 1 year old) wombats under their care. Their grounds were customized to raise the wombats. For the young ones, the wombats had a small protective ring to play and grow in. They were fed and allowed to gain their strength in a sheltered environment. 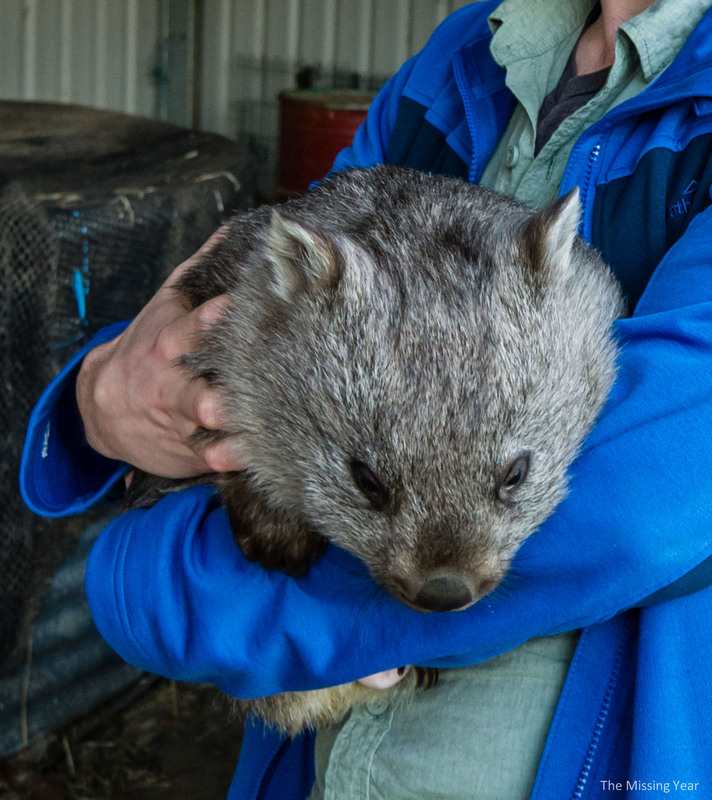 From there, progressively larger habitats were offered to the wombat until they were slowly released to the wild. Wombats are pretty solitary, so this is a slow process for them to learn everything they need to survive (and gain strength). There isn’t a pack they can go join, they are on their own to learn. The rescue had one more mature wombat in his final stages of leaving home (we didn’t see him). He would have been considerably larger than the two I got to meet. The owners believed he had already made a secondary burrow outside of the safe confines of the rescue grounds, so he was starting to being his move away from home. 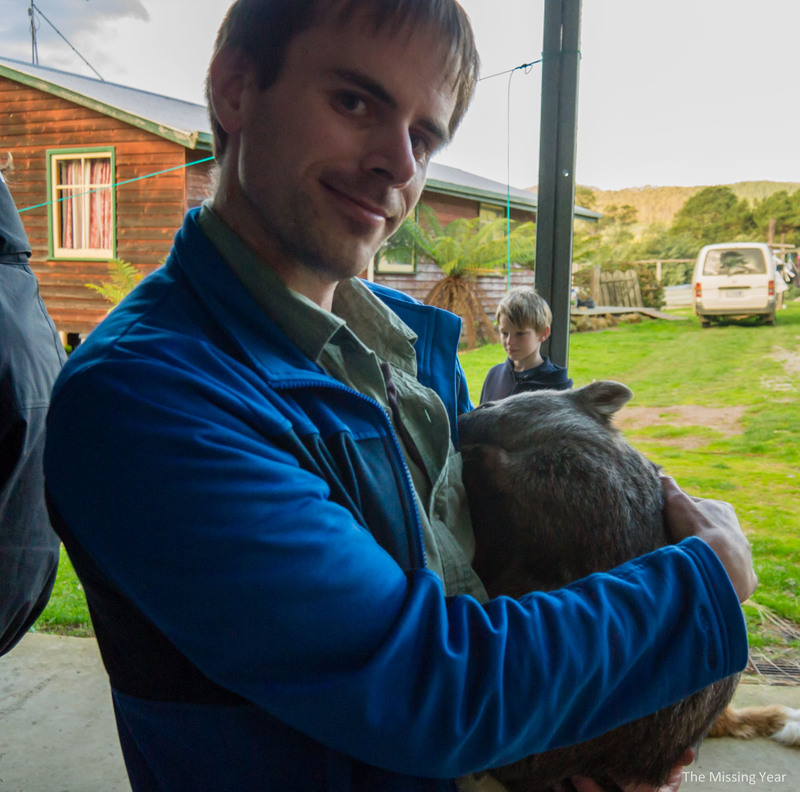 Holding a wombat, one gets to appreciate how powerful these things are. They are all muscle. Without much for defense, they rely on their strength and large underground burrows (as well as hardened tissue on it’s back). In the event the wombat feels threatened, it would usually run to a burrow and hide. 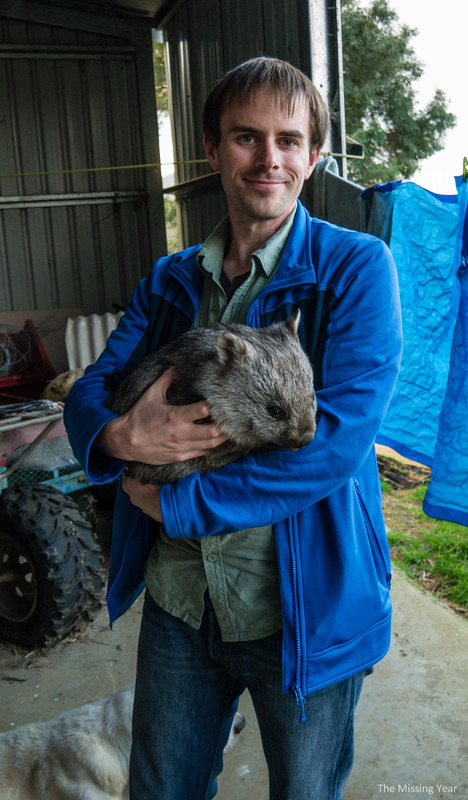 If the attacker entered the burrow, the wombat will use it’s hardened backside and muscles to push upwards and crush the attacker against the roof of it’s burrow. Wombats also have claws and teeth, though they are secondary defense mechanisms. 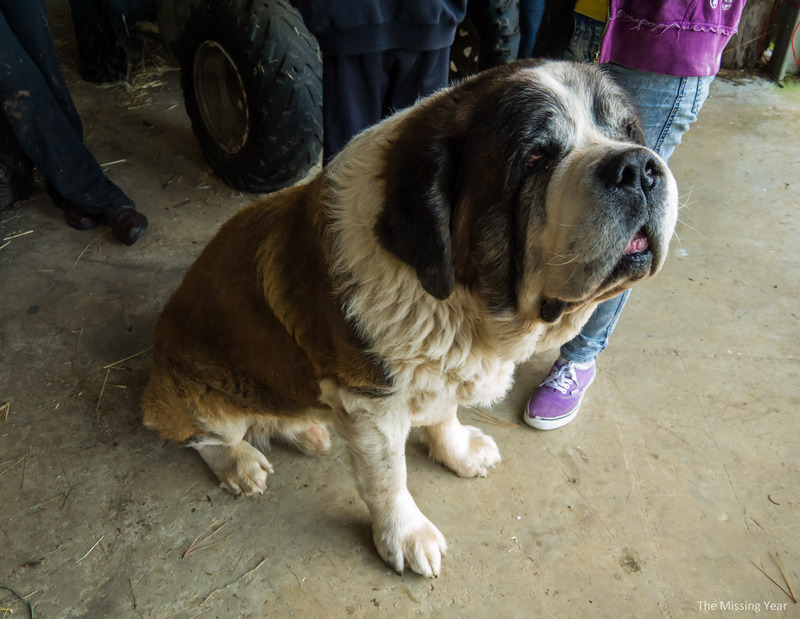 Not to be overlooked, the family also had a massive, drooly St. Bernard that wanted lots of attention. I think it was used to being second fiddle to the wombats though. All in all, a very cool spot to play with wombats for a short bit. 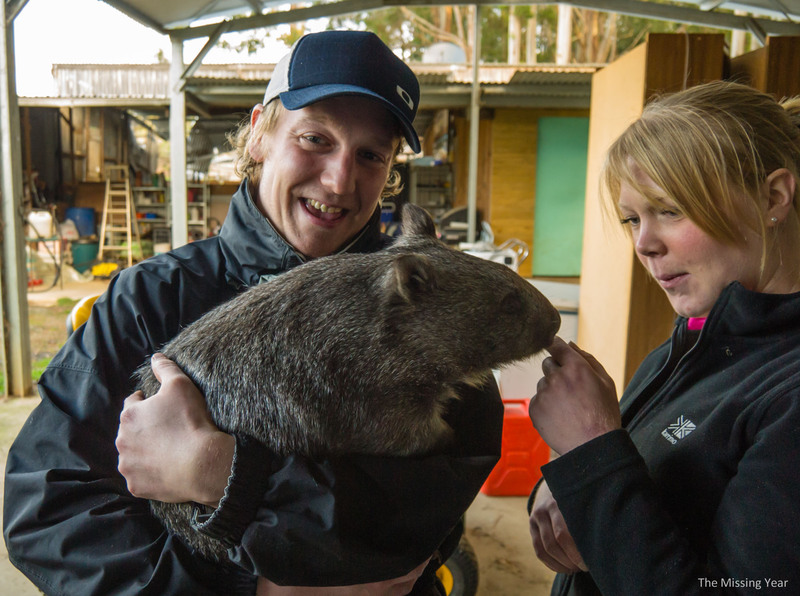 The wombats here were on a long road of recovery, rehabilitation and resettlement, it would take months or even a year or two before they are fully on their own again. They are also soooooooo very cute. Cutest Australian Animal by far (sorry Koalas)!